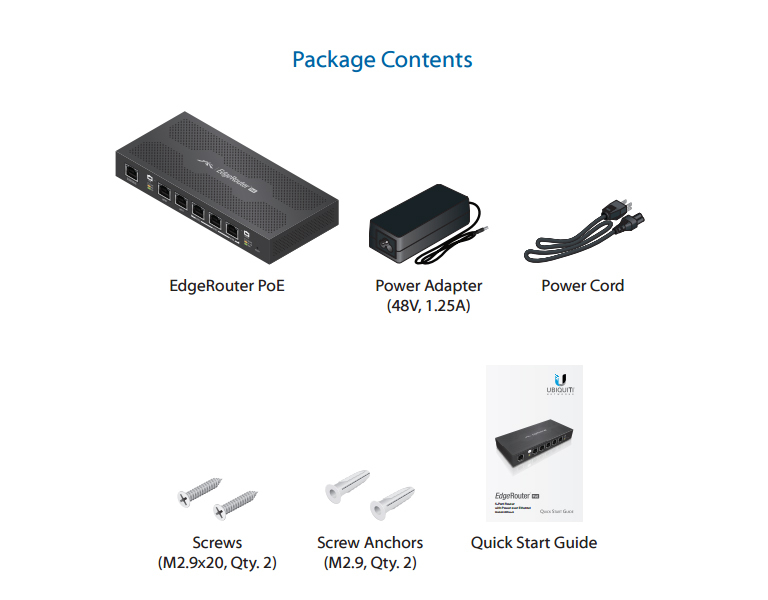 Introducing the EdgeRouter™ from Ubiquiti Networks, part of the EdgeMAX® platform. EdgeRouters combine carrier-class reliability with enterprise-level features in a compact and affordable unit. 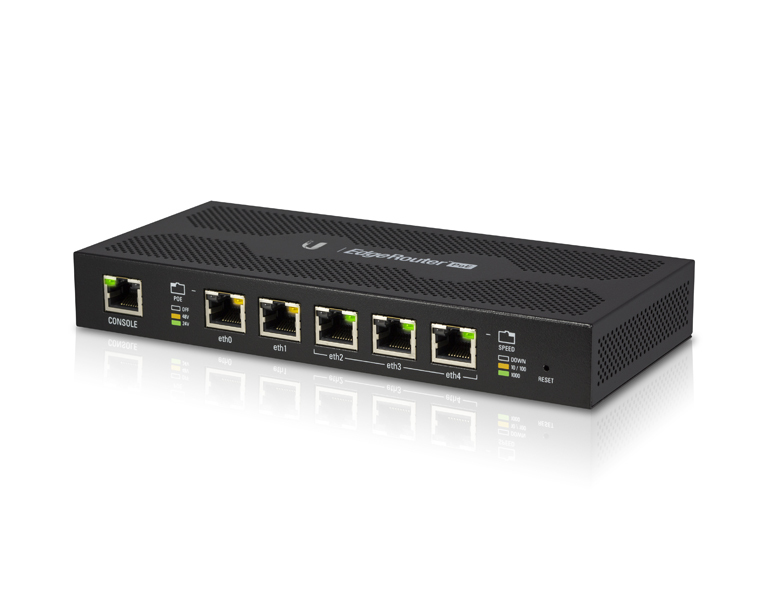 The EdgeRouter PoE is the world’s first economical router capable of routing up to 1 million packets per second. Powered by a proprietary and intuitive graphical interface, EdgeOS™, EdgeRouters can easily be configured for routing, security, and management features required to efficiently run your network. For advanced network professionals, an integrated CLI is available for quick and direct access using familiar commands. User Accounts Manage access to the EdgeRouter using unique administrator and operator accounts. Interfaces Each Gigabit port functions as an independent interface. You can also configure Virtual Local Area Network (VLAN) interfaces for network segmentation. With these capabilities and more, the EdgeRouter provides the centralized control you need to optimize the performance and reliability of your network. 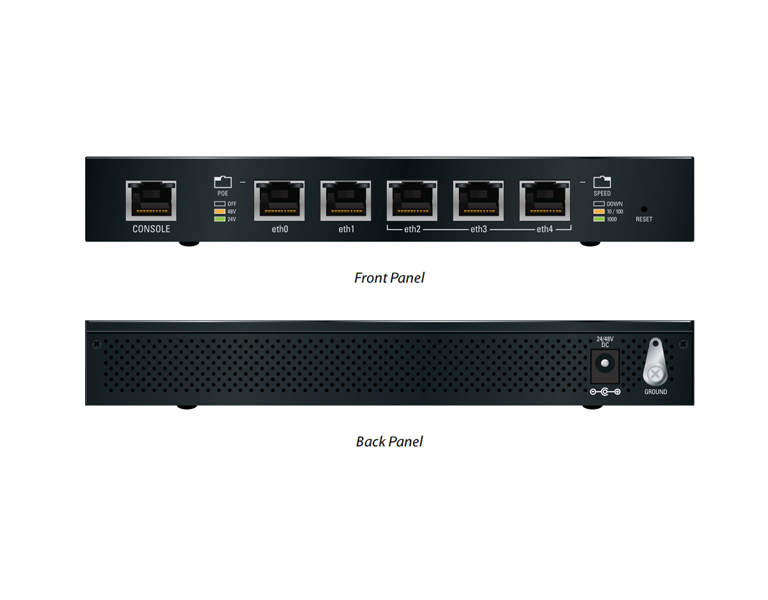 The EdgeRouter provides a graphical user interface designed for convenient setup and control. Accessed via a network port and web browser, the user-friendly interface provides intuitive management with a virtual view of the ports, displaying physical connectivity, speed, and status. The Dashboard displays detailed statistics: IP information, MTU, transmit and receive speeds, and status for each physical and virtual interface.